Dave is getting pissed off at all the political spam voicemails: I got a voicemail from Rudy Giuliani, urging me to vote for Bill Simon for governor. At first I thought it was my brother imitating Giuliani. I thought to myself. "That's a good imitation." Then I realized it really was the former mayor of NYC, the hero of 9-11. He didn't leave a number for me to call him back at. I'm starting to get pissed at all these political spam voicemails. [Scripting News] I'm not nearly as upset with the voicemails as I am with all the hang-ups. This article in Business Week is an interesting read on the current state of eGovernment. I don't necessarily agree with all of its conclusions or its assumptions about the current state of the art or what's important. It also takes a typical "Business Week attitude" on government workers which I haven't found to be true. Still, there's some good points in it. Here are some pictures I took around the conference at break this afternoon. Clockwise from the upper left are Mark Foreman from the Whitehouse who spoke this morning. Rock Regan, the current president of NASCIO and CIO from CT. Rich Varn (CIO,, IA), Tom Davies (Governing Magazine), Rebecca Heidepriem (CIO, WI), and Mary Barber Reynolds (CIO, IL). Michaela Mezo from Enterasys and Al Cabraloff from Microsoft. NASCIO, in addition to being an organization of state CIOs is the name of one of the Roman goddesses of birth. My number two referrer on my blog today is a google search on "nascio blog." I'm apparently the only one, but there are at least a dozen people looking for them. I've run into a few people here who read my blog regularly, including other CIOs, but no one who is writing except for me. As an aside, there's no WiFi access here, so without my Sprint wireless network card, I'd be out of luck. I'm listening to the Homeland Security panel: Robert Clerman is speaking and talked about Gov. Leavitt's role in homepland security. He specifically talked about "chartered projects" in speaking of Gov Leavitt's proposal. So, while I get asked over and over again in Utah what a "charter" is, it is apparently getting some traction on a national level. Utah County: The Most Wired Place in America? In case you didn't get a hand out, here is the text of the testimony that Camille Anthony, Karen Okabe, and I presented at Executive Appropriations yesterday in response to the recent legislative audit. This whole thing has gotten kind of kafkaesque. 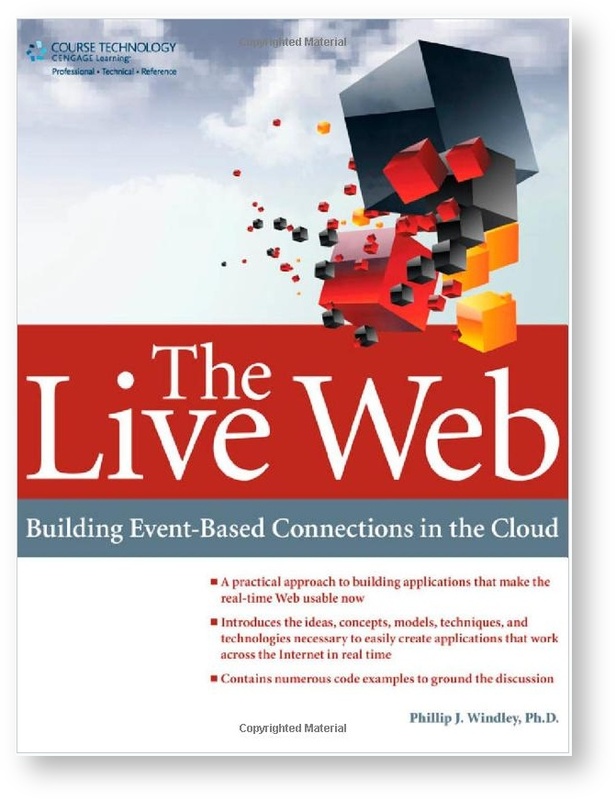 A good article by Tim Appnel called An Introduction to WSIL calls WSIL the RDF for web services. I've advocated the use of WSIL to advertise the presence of web services at the State. Its simple and easy to do. What's more it can be used in conjunction with UDDI if that becomes the prefered method for advertising web services. I just ran across Tim's talk on Inventing the Future. Great stuff. Last August, the Governor sent a letter to IT workers in the State outlining his plan and vision for conducting cross-agency eGovernment and IT projects. In the intervening time, we've conducted meetings, formed groups, gotten Cabinet approvals, and worked through a lot of the details. I and others have written several times about some of these meetings. Now, to try to pull some of it together, I've written a white paper on Utah's IT Plan that gives some more detail. This process will continue to evolve as we work through the issues. Digital Identity: Where are the People? For what its worth: according to my GPS, the Hyatt Regency Tech Center is a N 39 degrees, 37.820' W 104 degrees 53.896' and its elevation is 5692 Ft. And with that, I'm off to the airport. I spoke this morning. I posted my thoughts on this talk earlier. Here's what I actually said. I shared the stage with David Temoshok from the GSA. David is their expert on eAuthentication. 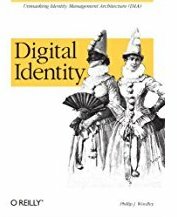 I went through many of the ways that state governments interact with identity, my primary point was that state governments are, for better or worse, going to have something to say about identity in the digital world and that the digital ID community needs to engage with state legislatures to inform, educate, and guide that discussion. I'm at the Denver Tech Center attending Digital ID World. I'm speaking this morning on digital identity issues in state government. I'll post the slides from my talk after I'm done (since I won't be sure what's in the talk until then). I'll be blogging the conference as I can. The complete set of posts will be in my ID, Privacy, and Security category. Coincidentally, Dave McNamee blogs about his work on our authentication projects today. The Government Information Locator Service (GILS) project of the Utah State Library has a nice tutorual on RSS that shows examples of its use in a variety different scenarios. They do good work. An article on Slashdot talks about a lawsuit against Southwest Airlines on the accessibility of their web site for blind users. I've thought for some time that we need greater emphasis on this issue for utah.gov. We recently held a set of classes for state web site developers on ADA and Section 508 issues. That's probably not enough. I think we need a usability lab and some requirements that all state web sites meet certain minimum standards. As more and more services are online, we need to ensure that they are as widely available as possible. The Salt Lake Tribune this morning has a story on a "blond extinction hoax." Seems that the media (including the major outlets like ABC and CNN) got taken by a hoax that claimed a World Health Organization (WHO) study found that true blonds were becoming extinct. Turns out not one journalist bothered to call WHO. If you've never dealt much with the media, this may come as a shock to you. It doesn't surprise me. Since every story that's been written about me (good and bad) has contained major factual errors, I have to believe that most stories contain factual errors. Jeremy Zawodny is the head MySQL guy at Yahoo!. He writes a blog that is very informative on system engineering issues. In this post Jeremy discusses the differences in threading on Linux and FreeBSD and its effect on MySQL. You should note the following: The level of detail that someone putting high performance systems needs to understand about multiple, complex systems and their interactions. The kinds of analysis and tools that he uses. That there isn't a single right answer. There are lots of "it depends" and compromises. Zawodny is intelligent, dedicated to his craft, and, I'm sure, well compensated.